2010 was full of memorable gadgets. You might remember the iPhone 4? How about the HTC EVO 4G? You also might recall a little something called the iPad? And coming up here, we’ll also see the release of the Android 2.2-powered Samsung Galaxy Tab on all four major U.S. carriers. Will 2011 be as fruitful as 2010? And here are 10 gadgets, listed in no particular order, that should definitely be on your radar when 2010 ends. 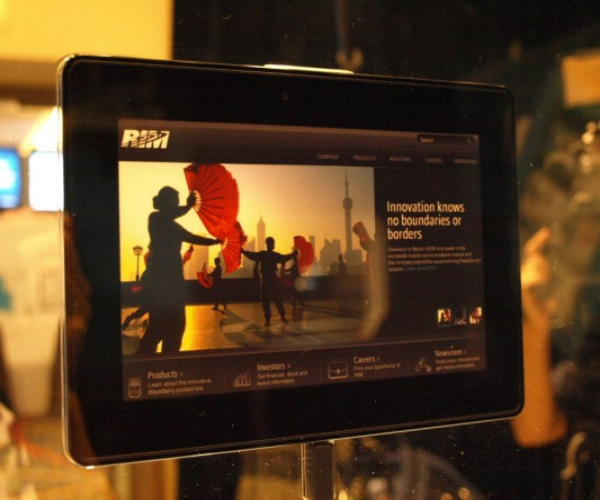 BlackBerry PlayBook, RIM’s foray into the tablet world. They have announced it, they have shown it running Adobe’s Flash and they have revealed 3 different models however, they have yet to give their much anticipated device a concrete release date other than to say it will be out sometime in early 2011. RIM needs to get back into the game in a major way, BlackBerry 6 and the Torch don’t count, and the PlayBook very well could be the device to bring them back to relevance. Verizon’s LTE phones, none of which have been announced yet. Big Red will be rolling out their 4G LTE service in over 30 U.S. cities by the end of the year yet that haven’t announced any mobile devices that will be supported by the new network. 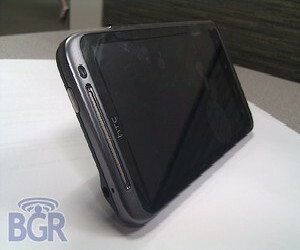 One them could be the gorgeous HTC Incredible HD, but other than that rumor, there isn’t much out there. We should know more about these devices by the end of January. 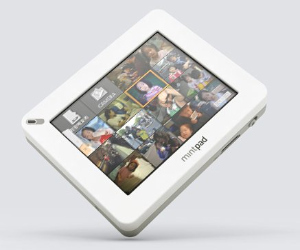 Mintpass’ tablet, a dual screen, dual booting device that will be able to run both Android and Windows 7. The two screens can either fold up or fold out making it sort of a cross between a tablet and a laptop. Also of note, the screens can be used in unison or separately. Mintpass is hoping to get it out next year, they still need to find a manufacturer for it. Let’s hope it comes sooner rather than later, eh? 2011 Nissan LEAF, an ambitious 5 door hatchback car that runs on electricity and purportedly can go 100 miles on a single charge. It will cost around $32,000 and will come with a bunch of tax advantages. It’ll also less than $3 to recharge the battery making it an absurdly cost-efficient vehicle. Tempting, isn’t it? 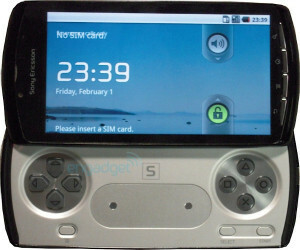 The PlayStation Phone, a device that as of right now only exists in leaked photographs and rumored specs. Sony Ericsson is said to be working on a device, codename Zeus, that will apparently be part PSP and part Android Gingerbread powered smartphone. While the debate wages on as to whether or not the device is too late to market , it’s hard to deny that the device is one of the most anticipated releases of the upcoming year. Nintendo’s 3DS, a portable gaming system that will be able to produce 3D without the need for glasses. It’s going to be out in North America in March and will give students another reason not to pay attention in class. 2011 Chevrolet Volt, Chevy’s much talked about PHEV (that’s plug-in Hybrid electric vehicle for those taking notes) car that will be out this year in select markets and released nationwide and in Canada within a year to 18 months. 2011 falls into that window and it will be interesting to see if the car catches on with the masses rather than just a niche group. 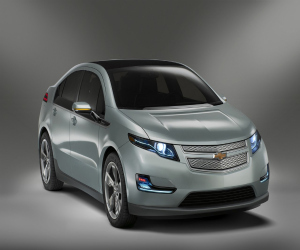 At the start, the Volt is going to cost $41,000 proving that it takes green to be green. 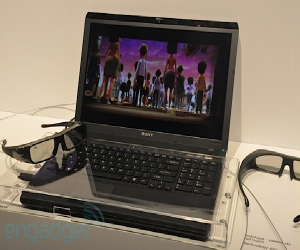 3D Sony VAIO, Sony’s foray into the limited world of 3D laptops. Not much is known about the device other than some purported specifications and some photos but let’s answer the question that’s burning inside your head as you read this. Yes, it looks like the laptop will require 3D glasses. If it’s any consolation, it supposedly is going to have 16 inch 240Hz LCD. Not bad, right? Apple’s iPhone 5, which oddly enough isn’t the most anticipated iPhone of 2010. Much like the second-gen iPad, details are hard to come by although reports indicate it has a different form factor from the iPhone 4. In fact, it’s said to have a different design than any of the iPhones currently on the market. It also might employ Near Field Communication (NFC) to support mobile computing. Expect it to show up on a bar stool in Redwood City and on camera in Vietnam soon. The Verizon iPhone, a device that you should have known would make the list. 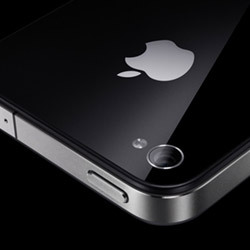 The Verizon iPhone was probably the most anticipated device of 2010 and now that most reports peg it for an early 2011 release, it immediately becomes the most anticipated device of 2011. Of course, those are the big ones that have pinged loudly on the radar. 2011 could also be the year of the solid state drive, the OLED television, the 3D television without the need for 3D glasses and much, much more.